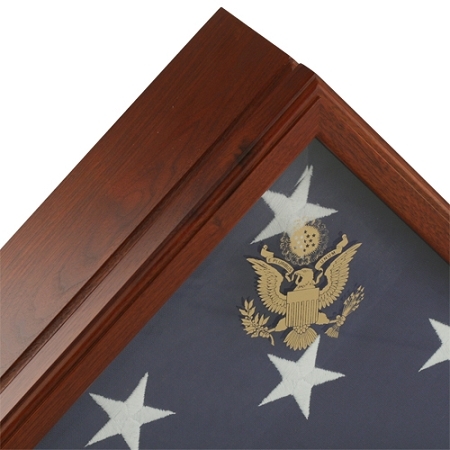 The Eternity Flag Case & Urn is a beautiful memorial piece and cremation urn for ashes, made of walnut wood and featuring a unique display case. 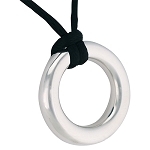 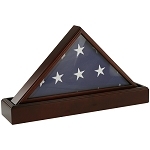 This memorial set would be a fitting choice for a loved one who faithfully served our country. 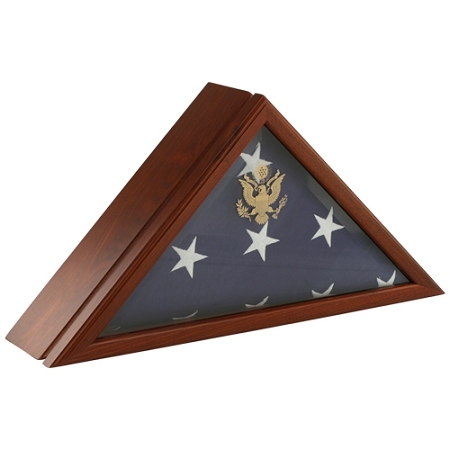 The Eternity Flag Case & Urn includes an heirloom quality flag case with glass front, which is able to display a 5 foot x 9.5 foot burial flag. 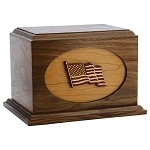 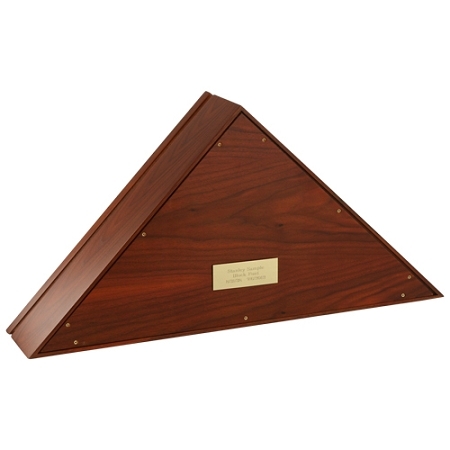 The final piece of this memorial set is the urn itself, which is made of solid walnut and is built-in to the back of the flag case. 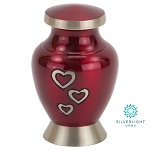 This cremation urn can be personalized with a gold or silver nickel plate, which can be engraved to display a loved one's name, dates, or a short personal message. 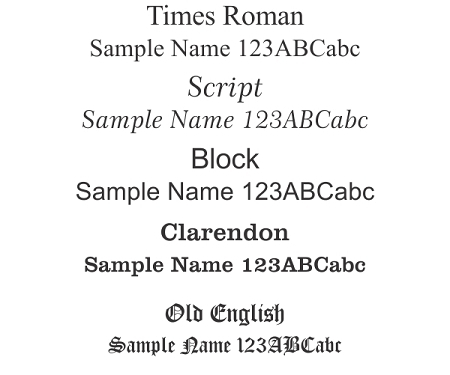 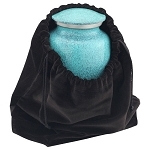 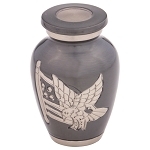 The adhesive-backed plate can then be affixed to the urn in an area of your choice. 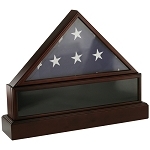 The Eternity Flag Case & Urn is a fitting memorial for a cherished one who proudly served and loved our country.